Instinctually, most of us have a tendency to view these components in isolation. 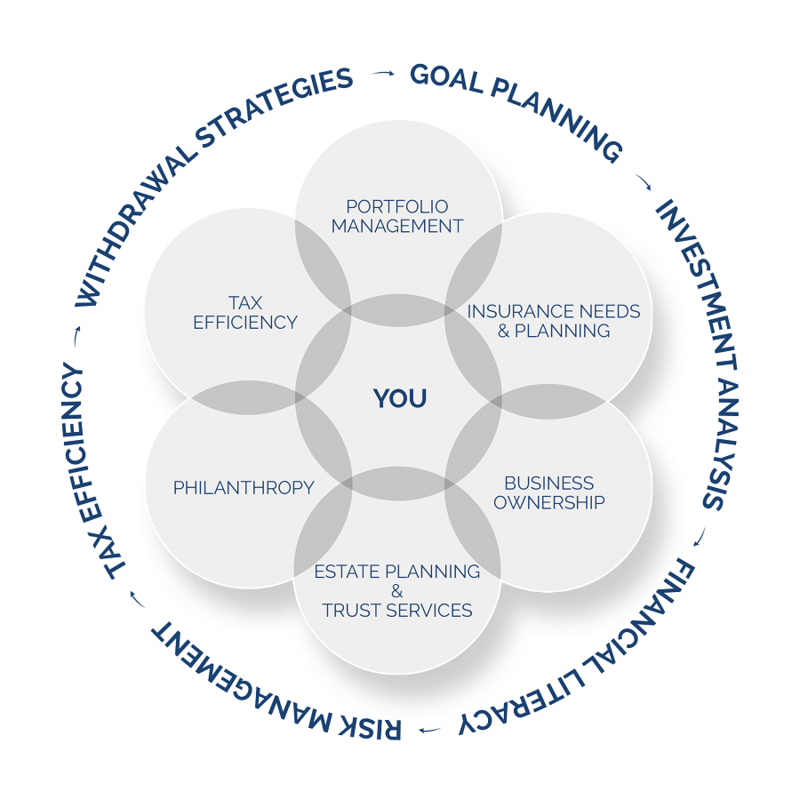 At Monadnock Capital Group, our process is designed to provide financial life management that connects all your financial issues and concerns into one integrated plan. While typically considered individually, these financial factors are interrelated. We encourage our clients to think more holistically about their financial health to maximize the potential for long-term financial success. support of a large well-capitalized organization. We strive to understand and deliver the quality of client service for the uniquely successful.